If you’ve purchased a Kidde fire extinguisher between 1973 and 2017 you may need to replace it. 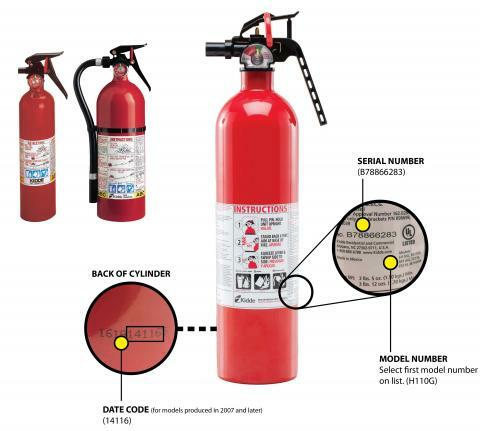 Kidde has recalled 134 models of their fire extinguishers with plastic handles because they can become clogged and/or require excessive force to discharge and can fail to activate during a fire emergency. In addition, the nozzle can detach with enough force to pose an impact hazard. The recalled fire extinguishers were distributed throughout the US and Canada both online and in-store at stores like Walmart, Sears, Home Depot and more. Click here to see the full list of products being recalled. If you own one of these fire extinguishers, contact Kidde right away to get a free replacement sent to you.